A scuba emergency ascent refers to when a diver has to come from the depths and get to the surface fast in the instance of an unforeseen crisis. More specifically, it has to do with the need to get to the surface due to running low or completely out of air while scuba diving. Most instances of scuba emergency ascents typically refer to a situation where a distressed diver can voluntarily participate to some extent in their own rescue. As such, it will not involve situations in which the diver is unconscious. Scuba emergency ascents can be classified as either dependent (assisted) or independent (unassisted) ascents. The in trouble diver is normally helped by another diver. In most instances the assisting diver will provide transportation, breathing gas and any other assistance deemed necessary. A panic attack that happens underwater can result in disorientation that may make a diver stay under for too long, thus putting them at risk of running out of air. You could become unconscious while under water for a variety of reasons that may include heart attack, knocking your head on a rock, or even running out of air. There are many ways through which you could get injured under water including being thrown against rocks, getting bitten or stung, all of which can in some instances cause injury, disorientation and even partial paralysis. It is not uncommon particularly for beginners who do not maintain their equipment well to have them fail while they are underwater. Being underwater can be very exciting and distracting and I am sure you have sometimes found yourself engrossed in some marine life that you lost track of time and sight of your diving buddies. 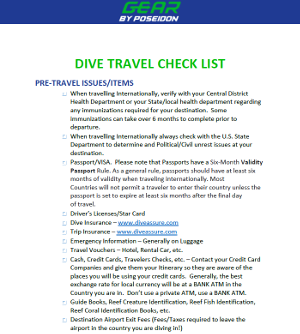 According to the Professional Association of Diving Instructors (PADI), there are four emergency ascent procedures for when one is low or out of air while underwater. This pertains to a situation where the diver is low on air and hence they can plan their ascent and get to the surface normally. The diver is out of air and hence needs the help of their fellow diver’s secondary air supply to help them ascent to the surface. The diver’s equipment fails and they are forced to ascend to the surface on their own. The diver ascends at a rate higher than normal as they drop their weights to shoot to the surface. 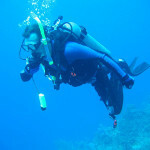 The CESA is a technique employed as an emergency procedure when a scuba diver needs to get back to the surface when they are low or have run out of air. D uring the ascent to the surface, you will be moving at a controlled pace by employing a variety of techniques. The most important technique to learn is maintaining neutral buoyancy through finning. Finning is a mastery of buoyancy techniques that will enable you to maintain a neutral position in the water without too much exertion, which also helps save air. CESA is a dangerous technique that if not done well could result in decompression sickness, pulmonary barotrauma or drowning. The best way to do CESA is to ascent at about 60 feet a minute while slowly exhaling. This will cause the pressure of the surrounding water to decrease and the lungs to expand with each progressive ascent. Exhaling keeps the volume of the air in the lungs near to normal and by exhaling at an even rate, you could still have air left in the lungs when you get to the surface. Failing to exhale during the ascent could lead to overexpansion of the lungs and possible injury. To determine if you are exhaling at the right rate, your exhales should be relaxed. You should not feel like you are running out of breath. The CESA procedure works really well in waters where there are no surface entanglements and no obligation for decompression. You will also need to be well trained or have the breath capacity to reach the surface while remaining conscious on little to no air. The biggest plus with CESA is that you do not need special equipment or outside assistance to do it. Once you realize that you are in an emergency situation keep your cool and do not as panicking will only make a bad situation worse. Remember your training and rule book and execute a plan to get back to the surface. Remember that you always have enough air in your lungs to reach the surface. Use the cutthroat sign to signal to your buddy that you are in trouble and they will come to your aid. They can provide you with their secondary air source that you can use to get to the surface. If you cannot find a buddy, keep the regulator in your mouth and start the ascent. The regulator keeps water out of your mouth, gives you psychological security and could give you one last breath as the air in it expands on the way up. Look straight up and watch out for any hazards such as buoys and boats that may be above you. CESA is not going to do you much good if you hit your head on a boat in such a state. Looking up also helps you judge the distance to the surface and plan your stops. It also keeps your airways open allowing the expanding air to escape to prevent lung injuries. Swim slowly for the surface going no more than one foot a second. A good way to check your ascent speed is to look at your bubbles. If you are rising faster than the bubbles, then you are probably going too fast and need to slow down. Make an “ahhh” sound as you exhale as this will help you breathe at an even rate. If you are ascending at the recommended rate of 60 feet a minute, it should take you 30 seconds to hit the surface from a depth of 30 feet. Once you reach the surface you need to make your body positively buoyant. The best way to immediately increase your buoyancy is to drop your weights while kicking. However, if you are not too exhausted you could orally inflate your buoyancy control devices to establish positive buoyancy. Once you are positively buoyant on the surface, wait for a few minutes and then scan the water to find your boat. Hopefully, your friends will have missed you down under and will surface and help you get back on the boat. The CESA is one of the most important skills to learn as it could get you out of a critical situation under water. Nonetheless just like all other diving skills you need to practice it regularly for when you never know when you are going to need it. Practice horizontal swims and alternate air source breathing to keep your skills fresh. With proper training preparation and practice, the CESA is the safest solution to a running out of air underwater crisis. Nonetheless, you need to remember that you are highly unlikely to find yourself running out of air if you monitor your air supply, conduct pre-dive safety checks and prepare your equipment according to set standards. Diving with a good friend should also reduce the chance that you will have to resort to a CESA, as you can use their secondary air supply in case of anything.